We Heart Parrots: orange slices in a dish, or strung in a tree, attract butterflies..
orange slices in a dish, or strung in a tree, attract butterflies.. This is one of my favorite photos from the year. I took this picture at the Butterfly House inside Hershey Gardens during our vacation to Pennsylvania. 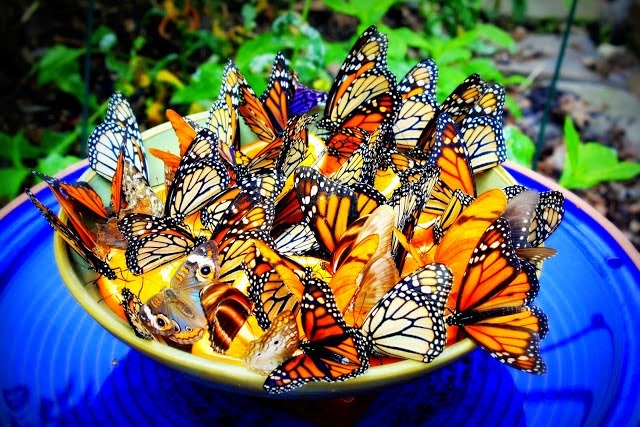 The Butterfly House, as a whole, was a very surreal experience, and this little bowl containing orange slices attracted the butterflies in droves. Good times, great memories.